The flames from a house fire could be seen for miles Friday morning in Lookout Valley. Fortunately, it was all planned. The training division with the Chattanooga Fire Department used a house donated by the Lookout Valley Baptist Church to conduct extensive training exercises for our recruits in Fire Academy 2018. For about the last week and a half, the recruits learned about firefighter survival, search and rescue and fire suppression. 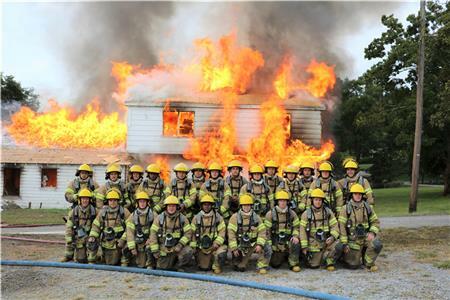 With all the training done, the house was set on fire Friday morning and allowed to burn to the ground. The curriculum for the 23 recruits will now move on to vehicle extrication and hazardous materials. If they make it all the way through, they will graduate on Nov. 8.